Igor Barkhatkov is a passionate Belarusian painter whose life has been enriched with art and creativity for as long as he can remember. With a painter for a father, a musician for a mother, and an upbringing decorated with inspiring mentors, immersive artistic summers and memories to last a lifetime, his story is full of fascinating history and a palpable, pure love of art. Delve into his story and travel back in time to the fields and fireplaces of beautiful Belarus. Hello, Igor! How does your hometown inform your art? What was it like growing up there? I was born in the city of Minsk and lived on Kharkovskaya street, where there was a brick factory, a stadium and a dance floor. I dreamed of standing on its boards with a guitar and performing with a band, which I did! I grew up in a family that included not only a painter – my father, but a musician, too. My mother was a great musician, and I was preparing to follow in her footsteps. At one point I was also very enthusiastic about sports: football, hockey, and I played professionally. It was very incidentally that I began drawing. The time came when I felt that sports were no longer my thing, and the music that we were playing at the time – pop music, was no longer fun for me. Somehow, it just so happened that I took to drawing. I was about 14 or 15 years old at this stage – so quite late, really. In Minsk, there were only two colleges to apply to: the Minsk Art College and the Theatre and Art Institute. I was not prepared for the institute and would not have been accepted into the college because of my age, so I had no choice but to go to Sumarev art studio. In general, our education back in the USSR was organized quite strictly: first an art school or studio, then college, and only then an institute. So when I arrived at the studio, the kids there – fifth-graders, were already drawing much better than me. I was way behind, but I drew day and night and after six months I became pretty much the best pupil. During this time, I met a unique teacher called Oleg Lutsevich, who taught at the Minsk Art College, and he invited me to his classes after noticing me in the studio. He was fantastically passionate about art and, above all, had a very harmonious system of drawing. He introduced me to some absolutely amazing perspectives in just a few lessons: ways of working, what to strive for, what to set as your goal. There was only high art, very high art – at that point we did not want to be just good painters like Levitan, Pissarro or Repin. No, we only wanted to be like Leonardo da Vinci, Michelangelo. Lutsevich was setting the highest bar and showing us how to reach it. Where is your studio situated? What’s it like? My father studied in Moscow at the Surikovsky Institute, then relocated to Minsk. Then, sometime in the late fifties, he became a member of the Union of Artists, painted his famous artwork “The First Song” and was given a workshop on Leninsky Avenue in the very heart of the city. At first, I used to drop by just like a son; sometimes I would help out with the frame cutting or coloring, for example. But when I took to drawing in earnest, I shared the workshop with my father. He would go on sketching trips for six months and I would remain the sole owner. My best memories of my youth and my student days are connected to that workshop. 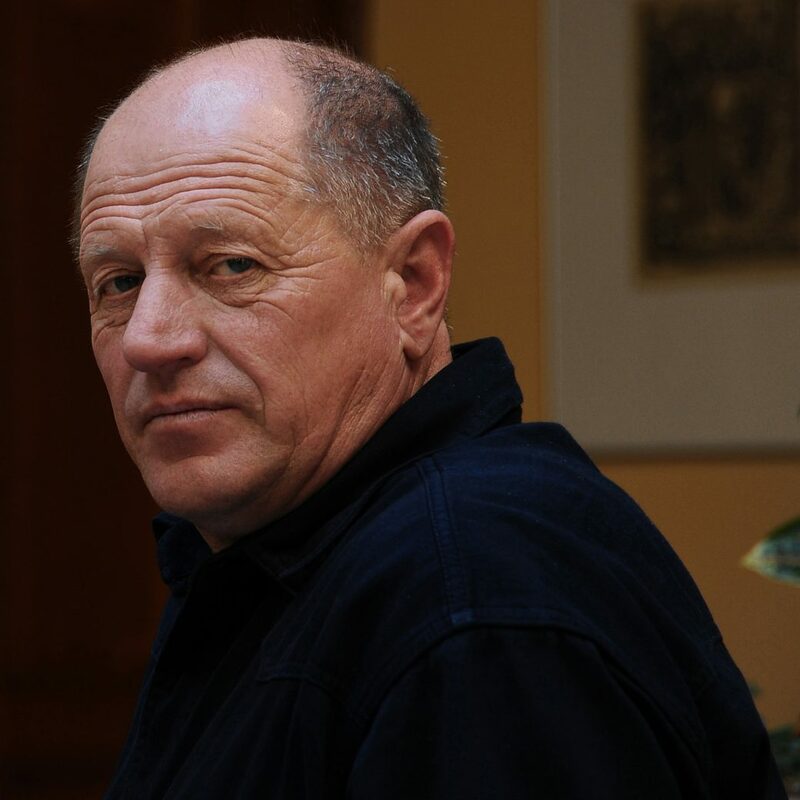 It became a meeting place for all the proponents of realism in Minsk. Contemporary art and abstract art were quite at issue at the time, and at the institute I held extremely realistic views about art. I was the leader of a student group, and my father’s workshop became the heart of our meetings. Do you have any particularly artistic memories or moments of inspiration from your upbringing, or any travels you embarked on? The very first year after school, my father took me along to an Academic Dacha. What is an Academic Dacha? Well, in the Soviet Union, a very cool system of creative summerhouses was invented. They were built for painters in order for them to evolve and improve their artistic level. There were few dachas, only about 5 or 6, but eventually they became sort of cultural centers. The Academic Dacha was the center of realism. At first, there were state workshops there, and painters came with two-month vouchers. Later on, many painters bought their own houses in the adjacent villages and built their own workshops, thus the Academic Dacha turned into a town of painters. 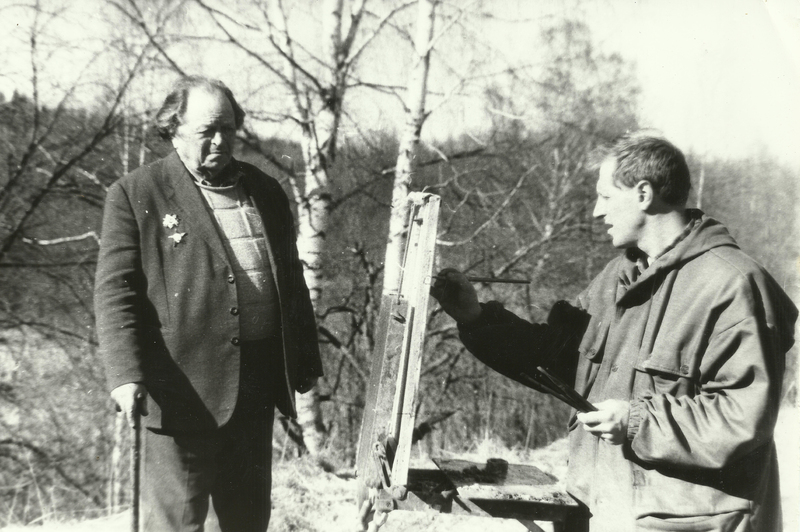 Reshetnikov, Kugach, Tkachev, Sidorov, Tokarev – the best realist painters of the Soviet Union bought houses there. And when you came to the Academic Dacha, about 100 painters from all over the Soviet Union worked by your side. They worked there for 2 months free of charge, that is, everything was free: accommodation, workshop, food, canvas-stretchers, paints and canvases. Everything was organized with the aim of letting the painters create as many works as possible over 2 months. But if the painter spent his time drinking vodka and dragging his feet, he was never given any more vouchers again. If, on the other hand, the painter worked for two months and produced very good pieces of art, he was given two more months, sometimes yet another two. That was why my dad would stay there for six months. The Big League gathered at the Academic Dacha, the best painters; they were working all day long. And in the evening there would be a fire, conversations about art, music and concerts. There was a very powerful atmosphere. A younger Igor, hard at work outdoors. Dad took me along for the first time when I was 17 years old. That atmosphere of absolute creativity made a huge impression on me. Having spent 2 months there, I’d seen even more sense in the work and identified new ways to improve. After that, I joined the army, then I was admitted to the Institute, but every year I went back to the Academic Dacha, and every year there were different painters there. I believe it was the Academic Dacha that had the most powerful artistic impact on me. There were always debates going on and prominent figures spending time there. Now they are legends of realism, some of the best painters of their time. Where do you call ‘home’ now? My wife, Elena Barkhatkova, worked in Ivyanets after the Minsk Art College; we often visited each other, and on the way, there was a village named Kyevets, where an old Belarusian church stood on the bank of Isloch – one of the most beautiful places in Belarus. My wife is not the type of person that mingles with people or attends plein-air sessions; she wanted to have her house, her workshop. So when we had the money, we bought a small steading near that village. There is a lot of air there, gorgeous landscapes. We started taking trips there to work in 1993. 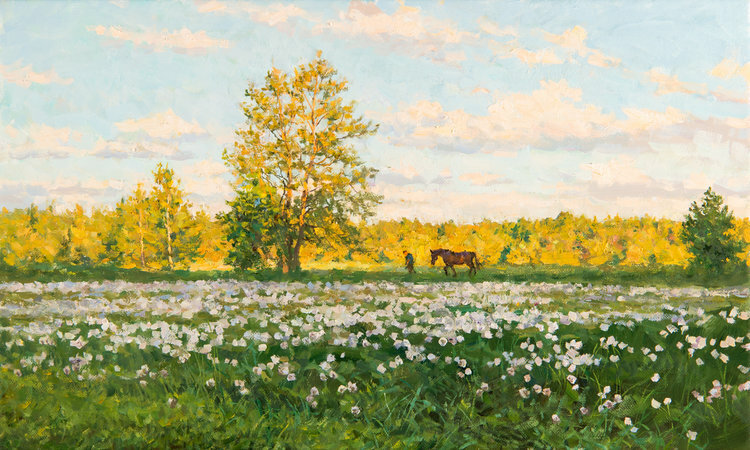 Within our first year there, Elena produced a bunch of works and took a very quick leap: over two or three years, literally, she became one of the best painters in Belarus. She is a person of great depth, a very serious person, and her paintings are life affirming, joyful. They scintillate, they shine and it is amazing that she herself is a private, complex person. She is insanely diligent and hard-working, waking up at 4am to work, paint. In the late nineties, Elena and I were invited to a gallery in the Netherlands with an exclusive contract. We would travel to Holland, paint pictures there, exhibit in Amsterdam and many other European cities, then return to our village, convinced that it was the most beautiful place. We decided in 2002 that we simply had to move to the village permanently, so we built a house with a large workshop, and have lived there ever since. We are constantly in the open, painting our works from nature. We have a huge collection of lilac bushes – lilac from manor houses of Byalynitsky-Birulya, Levitan, and Dunin-Martsinkevich. We also have 4 horses, a large number of chickens, dogs and cats. Our horses are pure Arab, with the best world lines such as Magnum Psyche and Gazal Al Shaqab. Elena and I work together in this wonderful place that has become our true home. The nature of Belarus is very gentle and delicate, and not everybody can understand it. But if you do, you feel fabulous harmonies. We feel blessed with the opportunity to perceive this beauty through the windows of our workshop every day. Igor Barkhatkov ‘Last Rays. Summer Evening,’ 2017. 33x55cm, oil on canvas. What’s your favourite thing about your home country, or its art? During my student days I went to the Academic Dacha, and to exhibitions in Moscow and Leningrad. What I saw there were masterpieces, but when I came back, the local exhibitions were average and I thought that there was simply nothing at all here. However, when the Soviet Union collapsed, gallerists from all over the world began to come to Belarus to see what was going on over here, check out the painters. On the wave of that interest, I began visiting workshops and suddenly discovered that there really were masterpieces in Belarus. Think of it – all over the world, in order to make a living, one had to sell paintings. In the Soviet Union, there was no need for that; selling paintings was shameful. Painters just painted for themselves. So we had many great painters and their workshops were filled with paintings, floor-to-ceiling. I got so carried away that I began to do more than just checking out or walking around workshops; I even began to hold exhibitions of those painters and buy pieces from them. 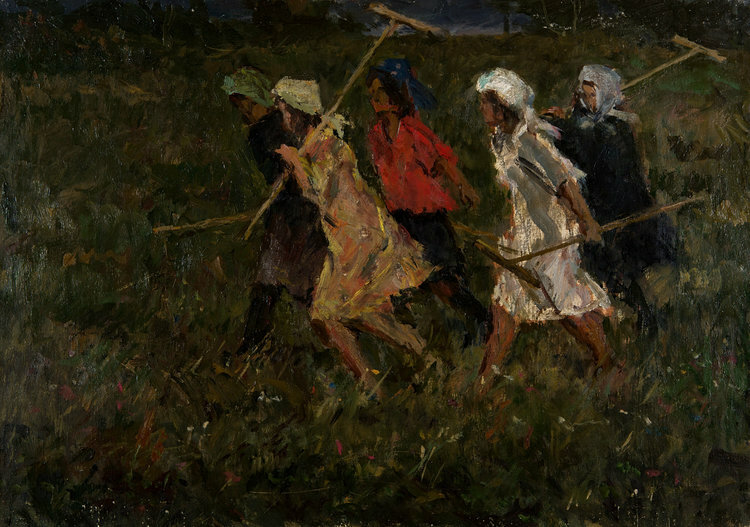 It turned out that in addition to the world-famous Belarusian painters, such as Chagall, Soutine, Malevich, lots and lots of interesting painters worked on Belarusian land. Painters with their own unique vision, whose works could grace any museum. It was pictorial art that developed particularly strongly in this small territory. And I am glad to live and work in this country, a country whose art is yet to be discovered. Any must-visit art addresses you can recommend in Minsk and Belarus? 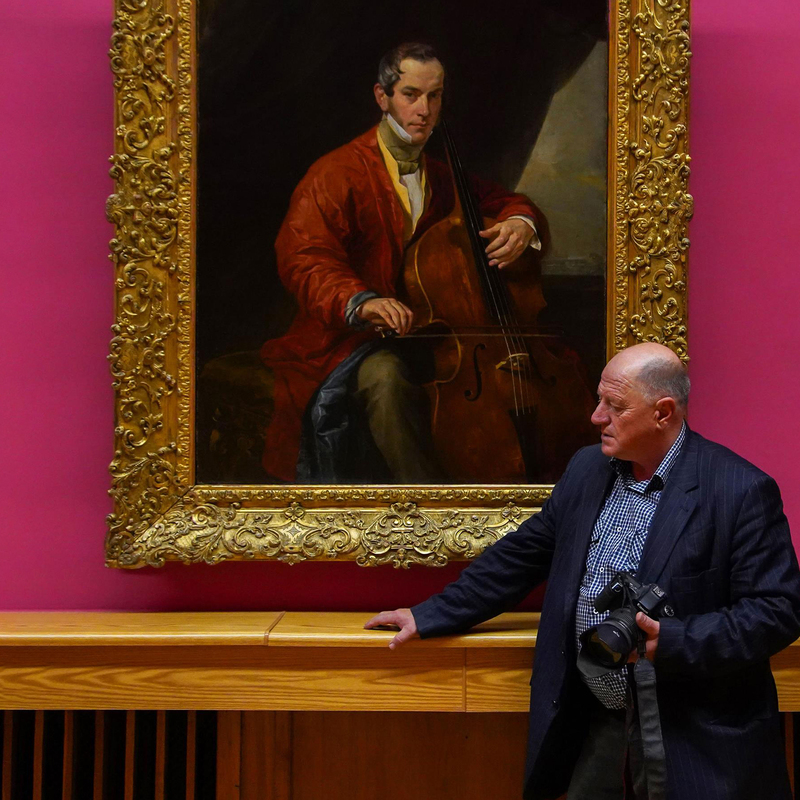 In Minsk, it is the National Art Museum, with one of the best 19th century Russian painting collections in the world. In Mogilev, it is the Museum of V.K. Byalynitsky-Birulya, who was a stupendous painter. In Minsk, there is a very interesting museum of brutal Soviet art, too – it is the Memorial Museum-Workshop of Z.I. Azgur. Think of it, everything preserved from the person who was sculpting leaders and revolutionaries his whole life. It is a large building filled with Soviet-era sculptural arts – of very high quality at that. There are also very interesting regional museums, such as the Museum of Y. Drozdovich in Hermanovichi or the Museum of M. Sevruk in Nesvizh. In Minsk, there is Savitsky Museum too – this is a museum of the greatest post-war painter of Belarus. Igor Barkhatkov ‘Before the Storm,’ 1979. 50x71cm, oil on canvas. Thank you, Igor! View the full extent of his serene scenes.